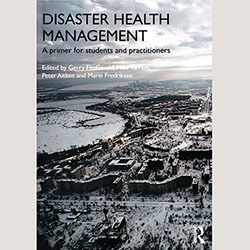 This comprehensive textbook addresses the history of disaster management, terminology, concepts, principles and trends. While the book refers mainly to Australian policies and guidelines, international examples are offered too. The authors discuss disaster management systems and the advantages and disadvantages of social media. The book’s final section covers strategic considerations, leadership, preparation, building resilience and incident management. These skills are said to be transferable to new concepts of disaster management. The book offers a broad overview of disaster management and some healthcare professionals may find its coverage of, for example, mass casualty incidents to be superficial. As the book is intended for a wide audience, it does not address specific nursing management issues.